Medical research has shown that when an employee is out for 20 days due to work-related injuries, their chance of ever returning to work is just 70%. That figure drops to 50% at the 45-day mark and 35% at 70 days! Even if their medical bills and costs of living are completely covered during that time, a quick return to work is essential to protecting their long-term livelihood. For employers, drawn-out claims also lead to higher insurance premiums. A claim typically becomes lost time at eight or more days, triggering a claim reserve. Likewise, your OSHA DART (Days Away / Restricted or Job Transfer) rate will increase after just one day of lost work, potentially inviting greater regulatory scrutiny. All in all, a quick yet restricted return to work is vastly preferable to a longer delay. Workers will better protect their livelihood and sense of purpose, and you’ll avoid significant costs: rehiring, retraining and insurance adjustments, just to name a few. In the long run, these costs far outweigh the temporary hit to productivity as an injured employee reacclimates to work. Communication is key for a safe, effective return to work plan. In that regard, your first line of defense against re-injury, higher costs and litigation is a detailed job description. Clear specifications of job duties, physical requirements, special skills, the individual’s recovery process and environmental conditions will help healthcare professionals determine when—and to what degree—the employee is able to return to work. Job description aside, your safety and management teams must be in constant contact with the injured worker, setting and adjusting expectations as needed. Consistent communication will ensure that worker feels safe and valued, and it will prevent them from taking unnecessary risks. It will also improve your company’s productivity, allowing the injured worker to do as much as possible without aggravating their health condition and incurring greater costs. We always want to assume our employees are trustworthy, but insurance fraud is an unfortunate reality. While you don’t want to go out of your way to spot trouble, there are a few red flags that should catch your eye. These red flags include repetitive claims, unusually long medical histories, unusually high costs and contradictions between medical notes and verbalized claims. Orthopedists, physical therapists and other healthcare professionals are invaluable to the return to work process. Even so, it’s a major mistake to rely solely on their expertise in formulating your return to work programs, and in choosing when and how specific employees resume work. Every worker and every situation is different, and the best plan of action requires input from your management, safety team and legal team on making reasonable accommodations. A doctor or therapist might give a list of general activities a worker is prepared to do, but your stakeholders will need to determine how that list translates into actual job duties. Even if you can’t pin an employee’s injury on a gap in their safety knowledge, proper training will likely make them safer once they come back to work. Likewise, one noteworthy incident might lead to the creation of new policies and procedures, which will then require company-wide re-training. If the rules change during a worker’s absence, it’s imperative that they’re brought up to speed once they’re back. 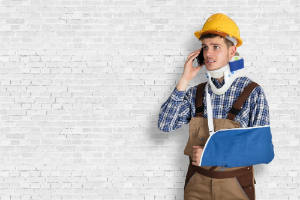 We’d all prefer injuries didn’t occur, but when they do, you can make the most of the situation by keeping thorough records of the job sites, workers, tasks and conditions involved. You might also record the details of the affected employee’s return to work, clarifying the true impact of the injury on the individual and organization. Without this information, it will be all but impossible to pin down problem areas within your company and adjust safety policies accordingly. With clear records, however, you can efficiently make effective changes, bringing your teams ever closer to that zero-incident goal. Of course, managing all that information is easier said than done. With manual record-keeping and disparate data sources, collecting and organizing safety-related information can be a nightmare. To learn how you can more effectively manage your safety programs, training and documentation, contact us today to learn more about BasicSafe—the industry-leading safety software suite.